The petitioner’s lawyer mentioned before a bench headed by Justice Ranjan Gogoi who directed him to appear mention it before the bench headed by Chief Justice Dipak Misra at 2 PM. In view of the raging floods in Kerala and level of water in Mullaperiyar dam rising menacingly, a resident of Mullaperiyar in Kerala Russel Joy has knocked the doors of the Supreme Court seeking announcement of Disaster Management Plan and constant monitoring of water levels by State of Tamil Nadu. The petitioner’s lawyer Manoj V George appeared before a bench headed by Justice Ranjan Gogoi who directed him to mention it before the bench headed by Chief Justice Dipak Misra at 2 PM. It was the bench headed by Chief Justice which passed the judgement on constituting Disaster Management committee as per National Disaster Management Act 2005. According to the petitioner no concrete steps have been taken by any of the States or Central government till date to implement the directions in true letter and spirit. "As on date, the petitioner and many people living in the downstream are displaced from their homes due to the unpreparedness of the State and the Central government during this natural calamity as there is no plan which is announced or communicated to the public at large till date further to the directions of this Hon’ble Court". He submitted that the State of Tamil Nadu has risked the life of many people in the downstream of the Mullaperiyar dam (MPD) when they insisted that water needs to cross the 142 ft mark before taking any action despite seeing the current state of affairs due to this unprecedented natural calamity in Kerala and efforts to contain the loss of life and property. 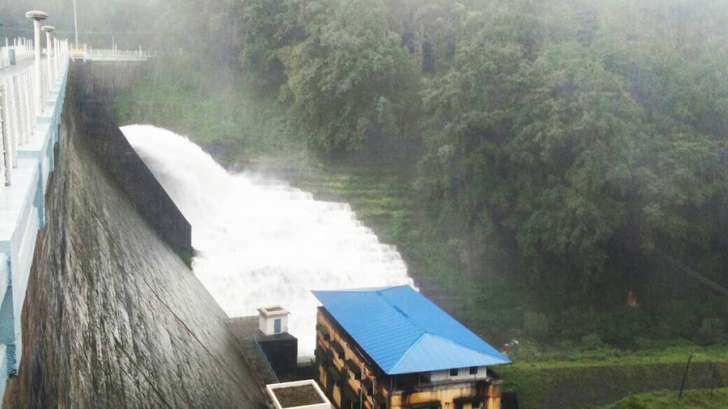 It is a matter of record that of 39 dams in the State of Kerala, 33 dams have been opened due to heavy rains and that as a result of the influx of such a large volume of water, the entire State of Kerala has been cut off as transportation and communication are badly affected and those affected are reeling under the extreme suffering unleashed by this catastrophe. He also submitted that the release of water from the Mullaperiyar Dam (MPD) at the whims and fancies of the State of Tamil Nadu for extraneous reasons is a threat to the life to the petitioner and many others in the downstream of the Mullaperiyar dam. The Water management preparedness of State of Tamilnadu was pathetic when last year (2017-Chennai floods) huge water inflow was allowed to Chennai city without any adequate warning resulting in loss of life and property of many. The petitioner has prayed for a direction to the Central Government to convene an urgent meeting of the Committee under Section 9 of the Disaster Management Act 2005 on a war footing basis to ensure a high level of preparedness to face any disaster that is unpredictable in relation to the Mullaperiyar Dam in the next few hours and to secure a proper coordination between all the two States to ensure protection of life and property of the people living in the downstream of the Mullaperiyar Dam. He also seeks a direction to the Committee to announce and make public the disaster management plan that is proposed to be adopted regarding Mullaperiyar Dam in the peculiar circumstances of floods and landslides in Idukki and other dam areas in the state of Kerala and Tamil Nadu. He also prayed for a direction to the State of Tamil Nadu for a proper management of water release causing no harm or damage to people in the downstream of Mullaperiyar Dam and to fix responsibility on the Chief Secretary of the State of Tamil Nadu for an hourly monitoring of the situation and submission of report to the sub- committee constituted by the Central Government as per section 9 of Disaster Management Act 2005.